I thought I'd post about this book in the bio section as while it details Walrus ops in the Med it goes into considerable detail regarding the crews and the men they rescue. As you know from my signature I run a book review blog that is sporadically updated depending on my reading and writing speed. I thought it might be worth posting the flying boat and amphibian books here as I cross them off my seemingly never-ending list. In the past few years I've also read Freeman's Lake Boga At War and Robins' factual fiction The Cat Has Nine Lives but these were before the review site so I'll have to read them again to sound half-way lucid. Without knowing about the author’s earlier work on the subject - Another Kind Of Courage – you’d have little chance of guessing the subject of the book. One look at the cover though is enough to make the title clear of course. Not a lot has been written about the Walrus Air Sea Rescue squadrons of the RAF and rarely have I come across their memories - written or otherwise. Naturally, that’s not to say they’re not out there (Graham Pitchfork’s Shot Down And In The Drink is a good companion for AKOC and BC). It’s just that in a world of dashing fighter pilots and determined bomber captains, the men who risk their lives, and aircraft, to save others tend to get overlooked. Fortunately, one of the pioneers of RAF record research has had the foresight to address this imbalance. As is well known, the Walrus was a single-engine, biplane amphibian that flew with a crew of two or three. Perfectly suited to being catapulted from cruisers and battleships, she was necessarily smaller than you’d expect but, as discovered within the pages of this book, possessed a big heart. 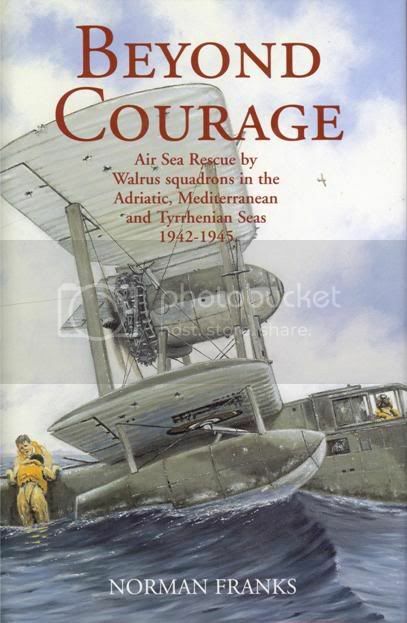 The book chronologically follows the rescues by Walrus aircraft operating from North Africa and, as the war moved on to Italy, from bases that could cover the far northern reaches of that country’s waters. Far from being picture-postcard perfect, the Mediterranean proves to be a constant challenge for the Walrus crews with the outcome of a successful landing and recovery often being a taxi to shore or being placed under tow by a vessel such as an ASR high-speed launch. The crews knew the weight limitations of their aircraft but with a bomber crew in the water below and night falling, for example, the decision was regularly made to alight on the surface to provide some comfort for the downed airmen. The result of such a commitment sometimes led to a night on the open water manning the bilge pumps to prevent the Walrus from sinking. If the sea was rough, the structure of the aircraft – wing floats etc – could be damaged. So, knowing these conditions, the RAF and Commonwealth crews of 283, 284, 293 and 294 Squadrons, scrambled time and time again to conduct searches for missing aircrew. I think it is pretty clear where the title of the book earned its inspiration. Details of squadron and detachment formation and movements are presented against the backdrop of the war in the MTO as a whole. The writing can seem a little stilted in these sections but that’s only because the escapades of the Walrus crews and those they save are so riveting. Franks covers a good portion of the rescues effected often with extensive (and typically understated) comment from those involved. I was fascinated by long-termers such as F/O Arnold Divers DFM RNZAF of 283 Squadron. Their insights into being part-aviator and part-mariner are a joy to read (Divers, amazingly, went on to fly Mosquitoes over Europe). Similarly, Franks sets up each featured rescue well with reference to the downed airman/airmen and how they end up in the ‘drink’. American aircrew obviously feature as heavily as those of the RAF etc and one wonders what they thought when they saw a decidedly quaint-looking Walrus heading their way. Something tells me all they saw was rescue and the strong arms waiting to pull them aboard to safety. Norman Franks’ work takes a bit of a beating from time to time mostly from occasional errors of dates and fates found by other researchers. While I have seen evidence of this secondhand, it should not diminish the attractiveness of his titles should you come across them. It would be unwise to forget that the current high level of interest, and public general knowledge, in the aircrew of the war is a relatively recent thing. Long before records were made available online or discussions could be opened up to the world, researchers like Norman Franks were shuffling vast amounts of paper records at places like Kew, writing letters to veterans and transcribing their interviews in order to make some sense of an air war so vast it will never be completely covered. Today’s ‘bibles’ and best-sellers owe a lot to the groundwork and interest generated by the likes of Norman Franks. Reading about the RAF etc will invariably lead to accounts of ditching, days in dinghies and subsequent rescues. 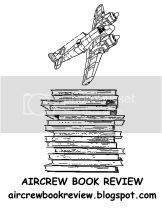 This book provides a detailed understanding of such things from the point of view of the ASR crews. If you are new to the genre and want to understand the courage of aircrew in the face of adversity, give BC a go. You will not be disappointed.